Check out these great Beekeeping-type pictures! Copyrights reserved. Permission granted for one copy, non-commercial use. 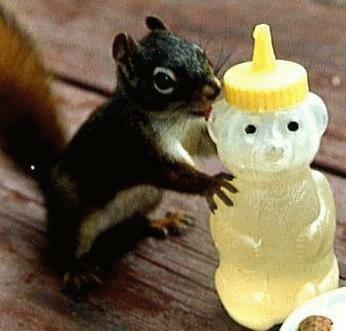 Everyone Loves Honey - including this little forest friend who couldn't resist kissing our honey bear!